Both jobs are in full swing this week. I have to remember to take my vitamins. 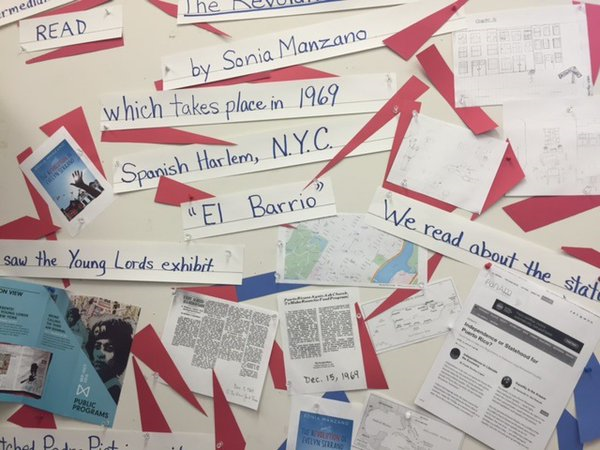 Last term, my class read The Revolution of Evelyn Serrano by Sonia Manzano (the actress we know from Sesame Street). It takes place in Spanish Harlem (El Barrio) in 1969. I learned so much along with my students. 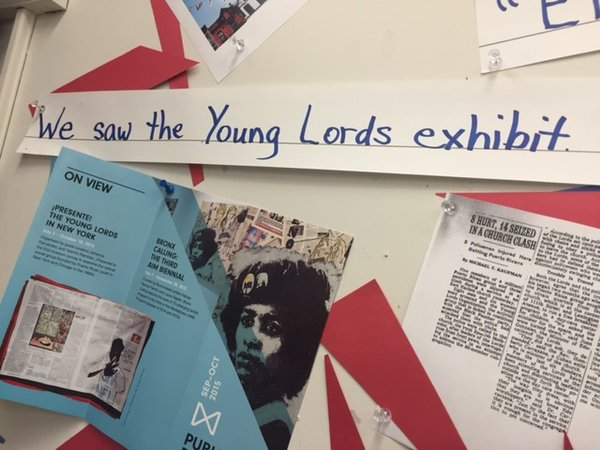 We went to the Bronx Museum of the Arts to see the Young Lords exhibit. 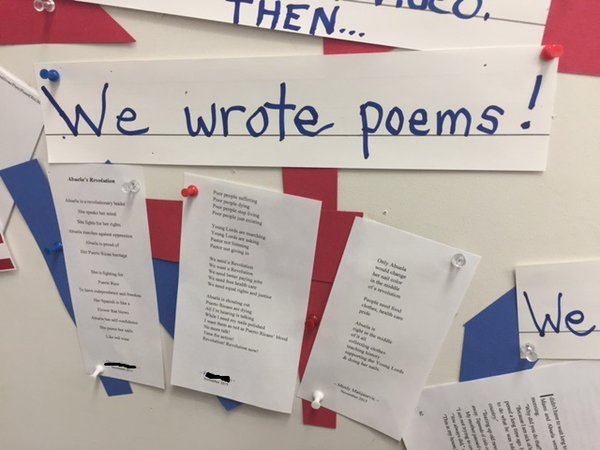 We went to the computer lab in the school to watch a video of Pedro Pietri reading his poem, “Puerto Rican Obituary.” It was a stimulating learning adventure. I was proud of us. 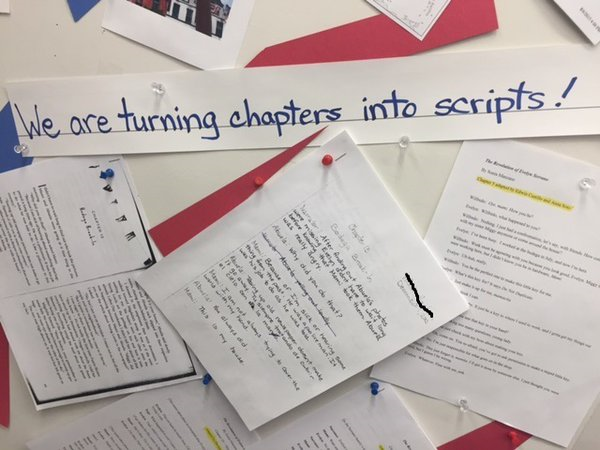 Though we don’t have classrooms that are exclusively our own, I find wall space in the office to display a sampling of our term’s work together. I wish everyone had such a life-changing effect from our learning together. Maybe more did, but this woman was able to put it into words. I hope to inspire as well this term. It’ll be a combo of some former students and some brand new students. When I’m on break, I find it hard to believe that I do this and will do this again. But I will. This Friday, January 15th, I am one of a number of featured readers at the 4 Horse Poetry Reading (a Bob Quatrone production) at Cornelia Street Café in the village. $9 includes a drink. 6pm. Always an enjoyable reading. 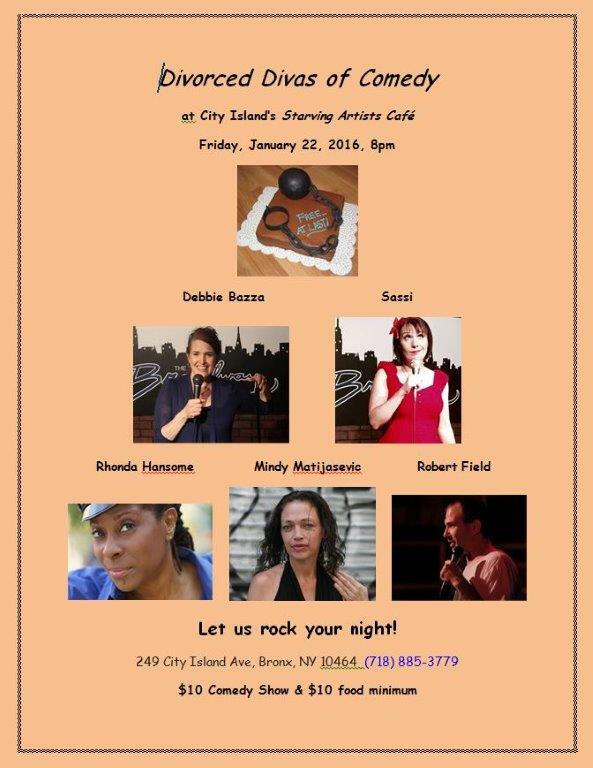 Next Friday, January 22nd, is the Divorced Divas of Comedy show at the Starving Artists Café on City Island. I also saw the exhibit, with my older sister. We both marched with the Young Lords. It was a bitter sweet experience seeing the exhibit and knowing what went down. My 1st apartment was in a Spanish Harlem building run by the Young Lords.